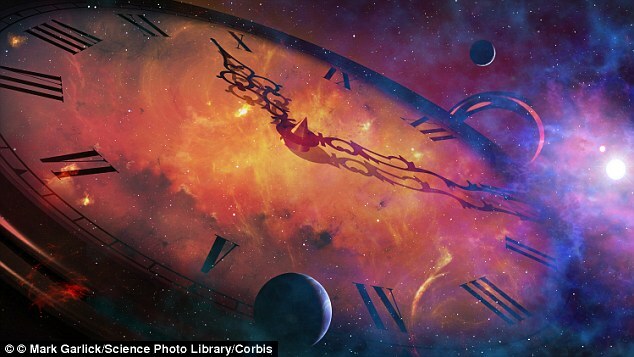 Speed of Light Series: The Day Time, Space and Reality Broke Down. In March 2011, physicists at the Large Hadron Collider at CERN (Centre for European Nuclear Research) in Geneva conducted an experiment to measure the velocity of a Neutrino, one of the elementary particles of nature. At the LHC, conditions can be artificially constructed to create particles which cannot be easily observed. This is how the Higgs Boson was discovered and confirmed in 2012. The speed of light has been shown to be 186,282 miles per second in a vaccuum, so this was to be used as the basis to measure the speed of the Neutrino over a specified distance. A race between a photon (light particle/wave) and a neutrino was organised by OPERA experiment physicists at CERN. This was a trans-European race from CERN in Geneva to Gran Sasso in central Italy where the finish line detector was placed. The race was to be over a 454 mile distance (731km) and was due to last 0.00247 seconds. The data was expected to show the race as a tie or an infinately tiny victory for light. The race kicked off and OPERA experiment physicists realised with horror that the Neutrino WON! 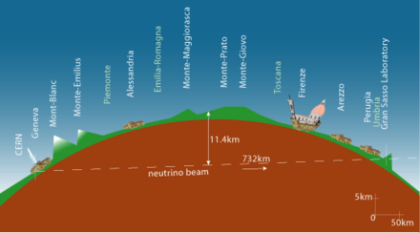 According to the OPERA detector, the neutrino clocked a speed of 299,800 km/s, which is 8km per second faster than the speed of light. Everything that everyone had been taught during their physics career was wrong. Einstein was wrong, relativity had been violated and the entire field of physics would have to be re-evaluated. Reality had actually broken down. Einstein wrote that the speed of light is invariant and constant and has been extremely well tested over the decades. Time and space are intricatly linked and governed by causality and light. The ground rule that the speed of light in a vacuum was the fastest that information could travel was no more, but not for long. An investigation immediately followed to save reality and all the machinery and equipment was thoroughly tested including the GPS satellites which gave the measurements. As it turned out a link from the GPS receiver to the master clock was faulty which caused a glitch. This in turn gave the neutrino flight time as faster than the speed of light. The test was re-run in 2012 and the race did end in a tie. All the equipment was correct and perfectly functional on this occasion and the difference between light and the neutrino was -0.0006%. Neutrinos do have mass and can oscillate, according to relativity all massless particles should travel at the speed of light and this neutrino mass is what stops them travelling at exactly c, the speed of light in a vacuum. So physics lived to fight another day, but what a scare it was! ← Speed of Light Series Part 2 – Measuring Distance Using Light.